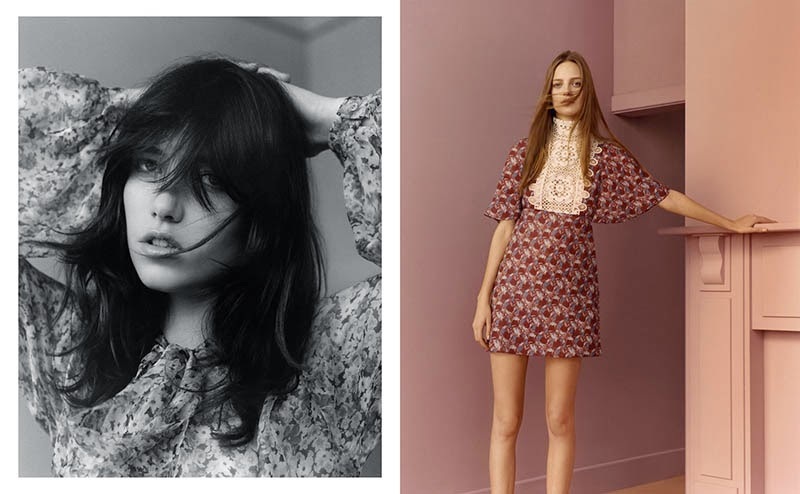 I think Zara woman spring/summer 2015 campaign & lookbook already defines what is coming for spring/summer 2015 trend. 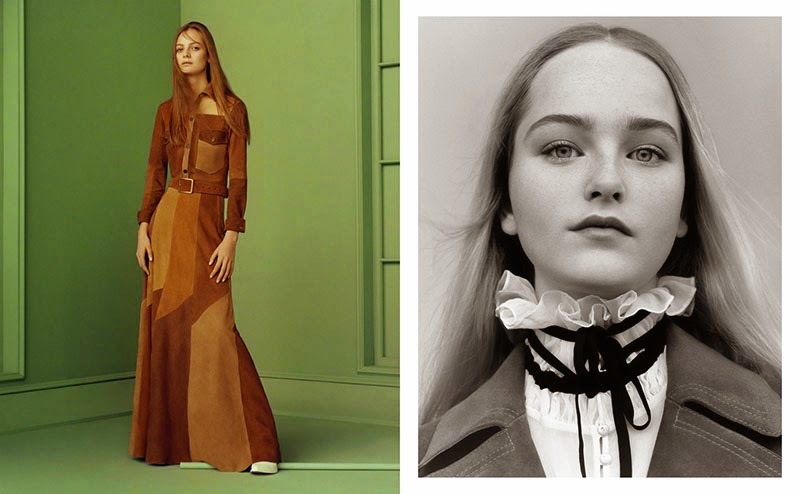 You can see denim, lace and floral, army colors, bohemian style, and suede on the campaign. Yes, they are all on the trend again now for spring/summer 2015. Time to pull your so-long-time-no-see suede trousers or bohemian dress from the deepest side of your closet and wear them with pride again this season. We all know that trend has it's cycle. Fashion cycle never stop amazed me since something from our oh-those-good-old-days now are on the trend with some modification and later we are going to keep it on the darkest side of our closet again. Never ending journey of fashion cycle that I love. 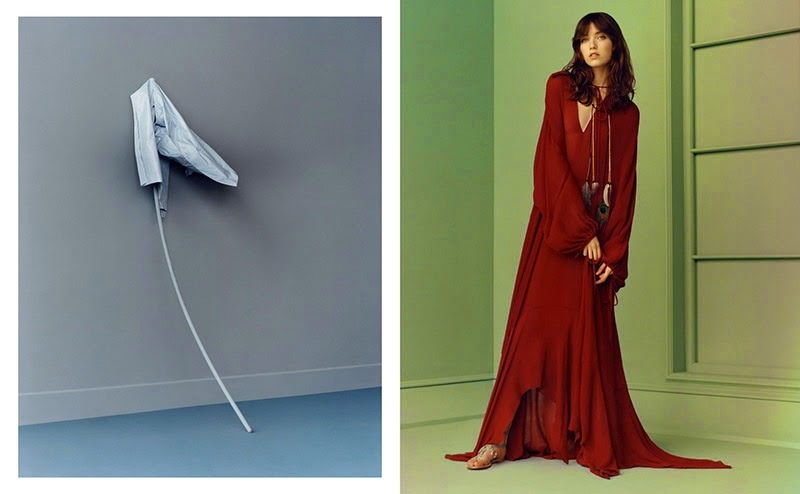 Even you can see gladiator sandals on Zara woman spring/summer 2015 campaign and lookbook. I still remember when it is on trend about 6 or 7 years ago. I saw girls put it on their feet almost everywhere. Unfortunately mine already broken and I don't think I'm going to buy another one this season. Still in love with my sandals, flat shoe, sneakers, and boots. 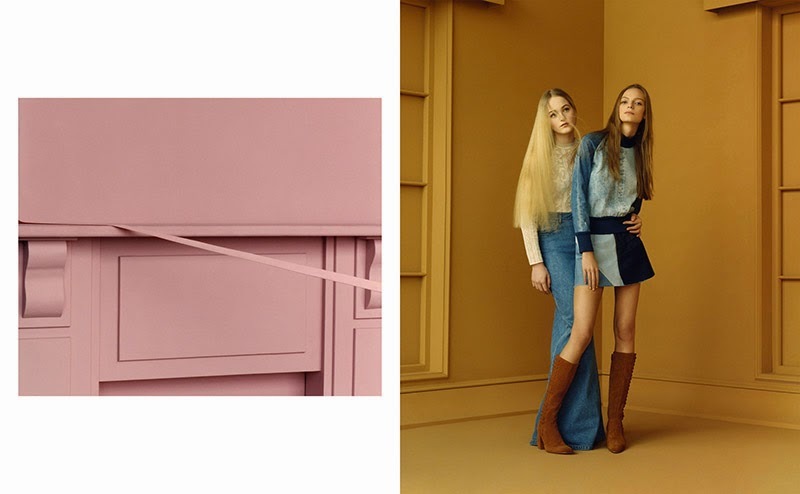 From all the trend showed at Zara woman spring/summer 2015 campaign and lookbook, I think suede trend is not for me. I love suede materials but I just don't like to wear them. I also love bohemian style, but I need to find a way to wear them with normcore attitude. If I couldn't then it means I need to say goodbye to bohemian style this season. While army, denim, floral and lacey trends are my favorite. What about you? What is your favourite trend to rock your spring and summer days this year? Because of my gender I'm unable to answer the question, but I wonder why all those ( beautiful )ladies have that gloomy look on their face. Don't they like their outfit or what??? :).